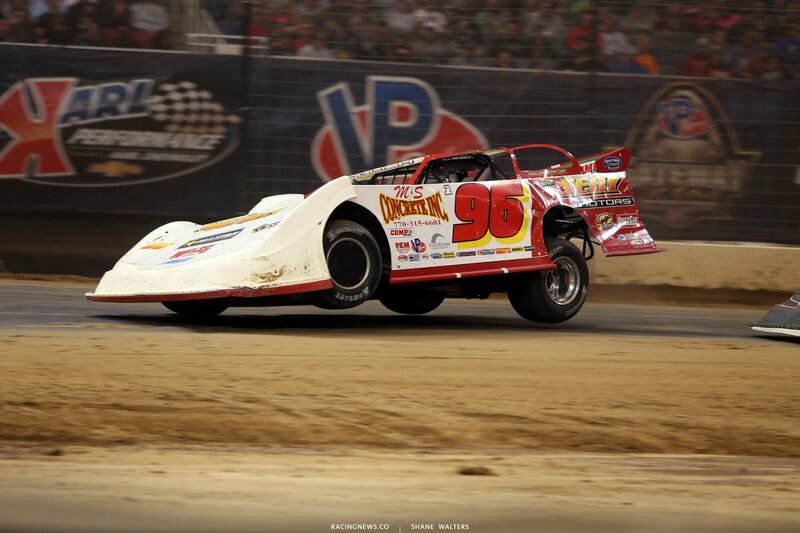 The Gateway Dirt Nationals was very different compared to last year. Regarding layout and track prep, it was night and day different. Last year, the track had a lot of grip and it was also narrow. This year, the track was 10 feet wider on each side, about the same length and slick as ice. I liked both. It’s still the best race of the year, either layout. But, that doesn’t keep me from asking myself which one I liked better. Tanner English is one of the dirt late model drivers that ran both the 2016 track and the 2017 layout. Which layout do you like better. This track or last years track? Well, to be honest… I was thinking it’s not, so far. I think the bottom line is too dominant. “Oh definitely, I agree on that,” English said on Saturday afternoon. That’s certainly one way of fixing the same thing. To me, I think my issue with it is that the bottom doesn’t have to slow down as much, to make the corner. With the extra 10 feet on each exit and entry, you guys can kinda make a big circle out of it. That makes it harder on the guys riding the top. “It seemed to do exactly that on Saturday night [cut the middle down] and it made for great racing in the feature,” Tanner English comments after the race. 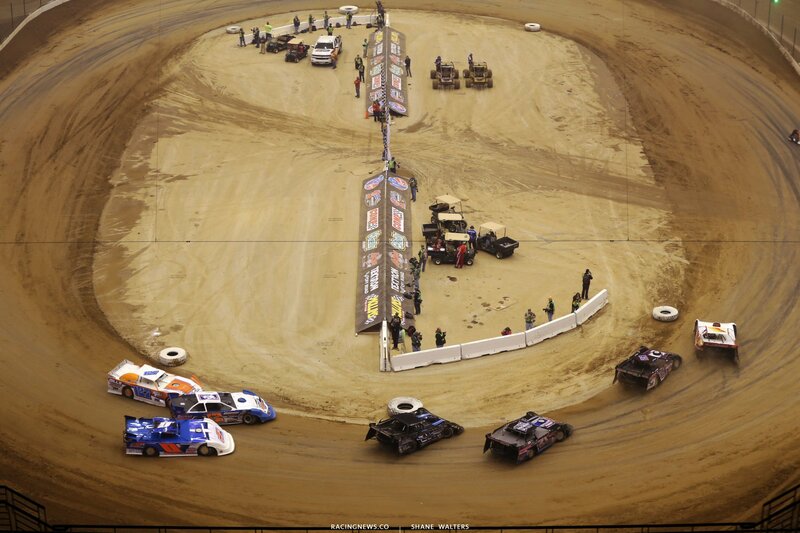 The Gateway Dirt team made several tweaks to the track throughout the weekend. This place reminds me of the old Bristol. They’re going to sellout 60,000+ here one day. “I believe so too. Just wish I could’ve went ahead and got my name on that event Saturday night!,” English concludes. I’m a little confused by the fact that Tanner English isn’t one of the young guns on the national tour. He ran 3 Lucas Oil Late Model Dirt Series races in 2017. The #96 is a solid top-10 competitor, every time. His best LOLMDS finish came at Ruck River Raceway Park, where he finished 3rd. 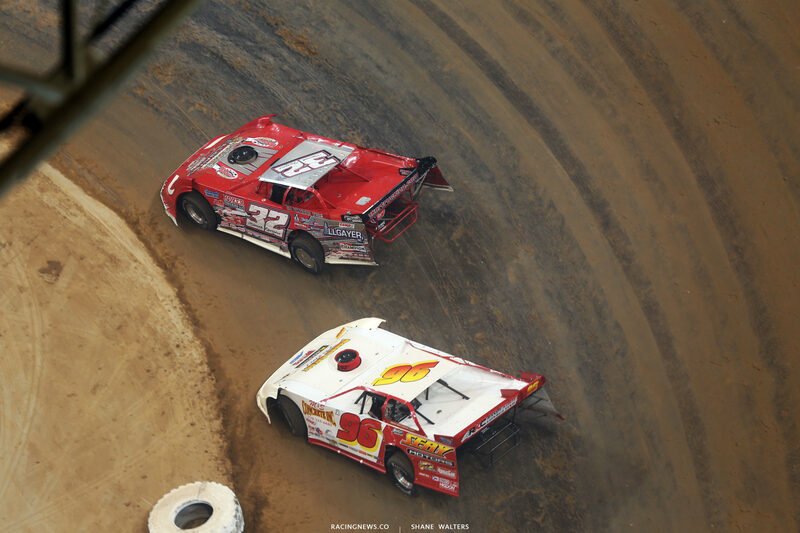 The Gateway Dirt Nationals is on a national stage for the dirt late model scene. It’s a race that draws a bulk of the top dirt late model drivers from coast-to-coast. On Saturday, Tanner English was one circumstance away from the $30,000 check. How come you don’t run either of the national touring series? “Just financial,” Tanner English explained, ahead of Saturdays main event at Gateway. “Then, I got a full time job. It’s just hard to do,” Tanner English concludes. English has two full-time jobs, a full-time racing career is the first one. Aside from the race track, Tanner English works in the HVAC industry.